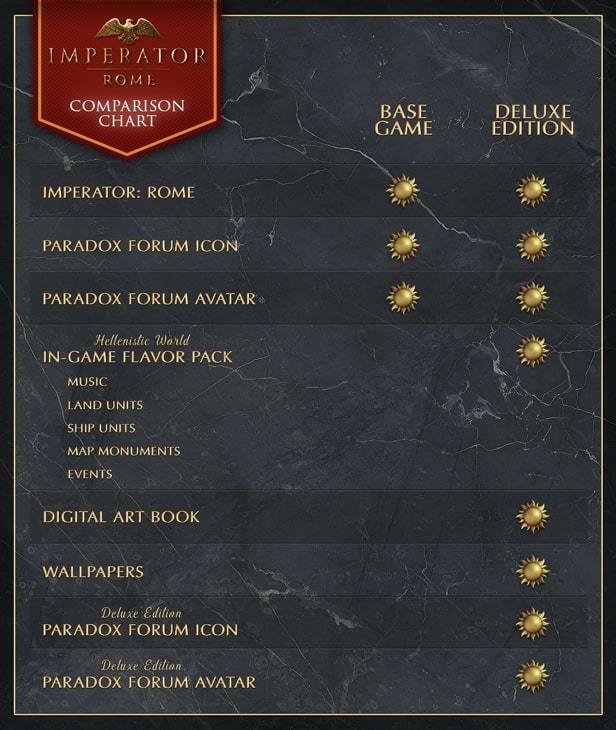 Imperator: Rome is the newest grand strategy title from Paradox Studio. Set in the tumultuous centuries from Alexander’s Successor Empires in the East to the foundation of the Roman Empire. Special On Map Monuments: The Mausoleum of Alexander, the Acropolis of Rhodes, the Acropolis of Pergamon, the Palace at Ay Khanum, the Library of Alexandria, and the Argead Palace of Macedonia.